Selecting paint for my own home is stressful! Exterior paint color especially. So before you stress out the next time you select paint, go to the black and white trim colors that have been successful for me. Sherwin-Williams “Tricorn Black” and “Creamy”, tell it to your neighbor! 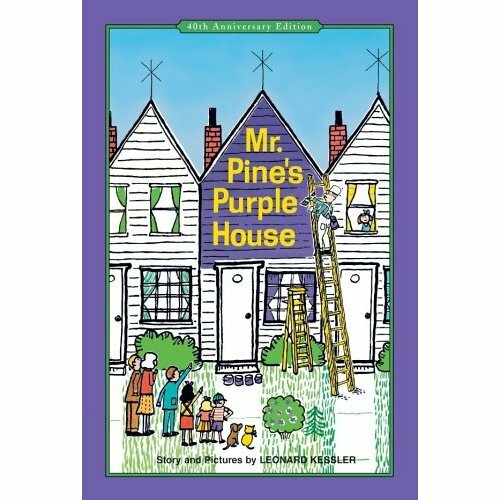 Mr. Pine lived on Vine Street in a little white house. Amazon, I just ordered it! This was one of my favorite books growing up and I guess it made an impression! 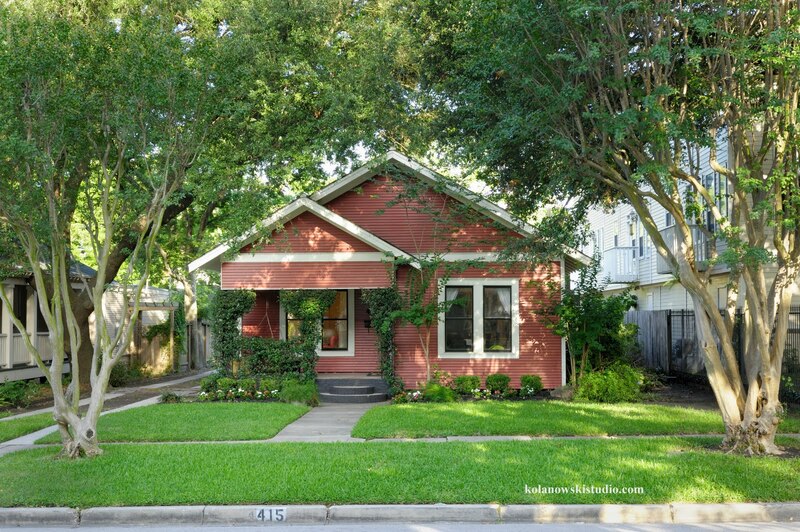 So, I chose red because I loved the color and it was different from the neighbor’s houses and still classic. 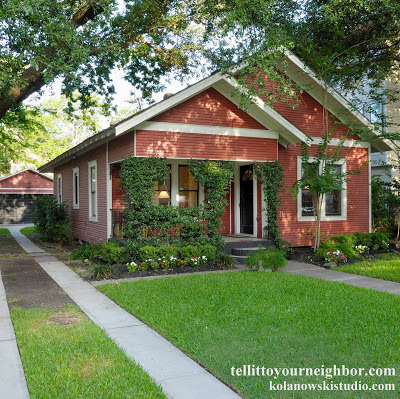 Little did I know I was creating a traditional Swedish cottage in Houston! Typical red Swedish house and blogger Tiger Hellstrom. After we painted our house red we were at my Grandma Lil’s house. Her last name is Sundstrom and she’s 100% Swede. I noticed she had framed a watercolor of a red cottage. She said this was a typical Red cottage that you see all over Sweden. She thought this was why I painted my house red. I was so surprised and curious! Did I paint my house red because of my Swedish roots (like a dog buries a bone) or was it deep in my sub-conscience? The Swedes have been painting their houses this “Falu red” since the 1500s so it’s possible, I guess… I am 3/4 Swedish. Or maybe I just saw pictures over the years that I don’t remember at her house. I guess it will remain a mystery! Our daughter loves to hear the story of how we brought her home as a baby to a little red house, I love to tell it too! 🙂 We sold this house when we outgrew it but we like to drive by anytime we are near. I hope these paint colors help you in your future painting endeavors. I love, love, love that the windows are painted black and the trim is white! I loved it so much I did it to my own house! I loved that little red cottage!